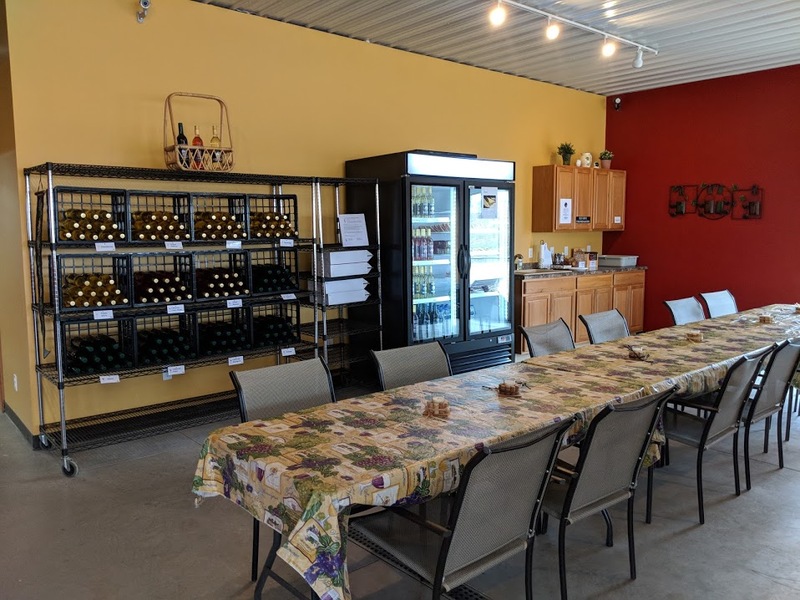 Welcome to our newly constructed Tasting Room, Come enjoy our estate wines in beautiful Bainbridge Township. 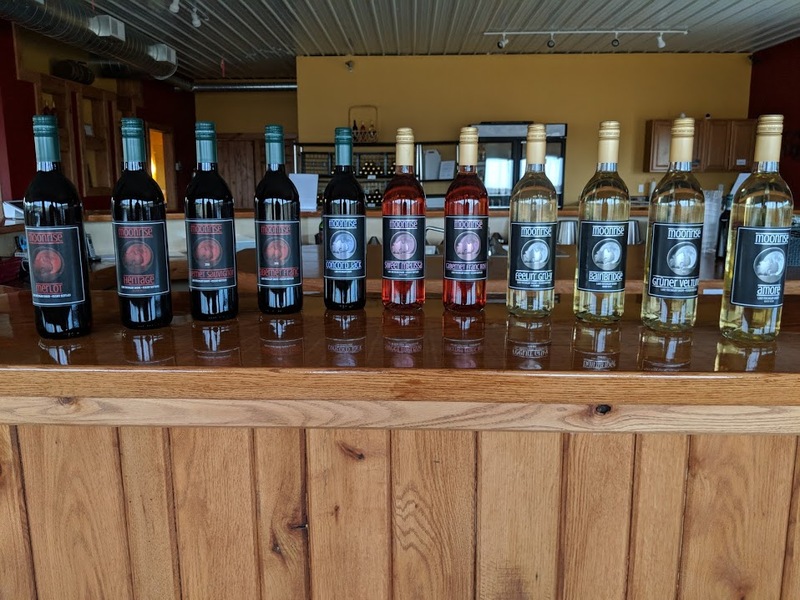 We offer $10 tastings which includes five 1oz samples and the tasting glass to take home. We are currently offering an additional taste of our freshly made sangria. 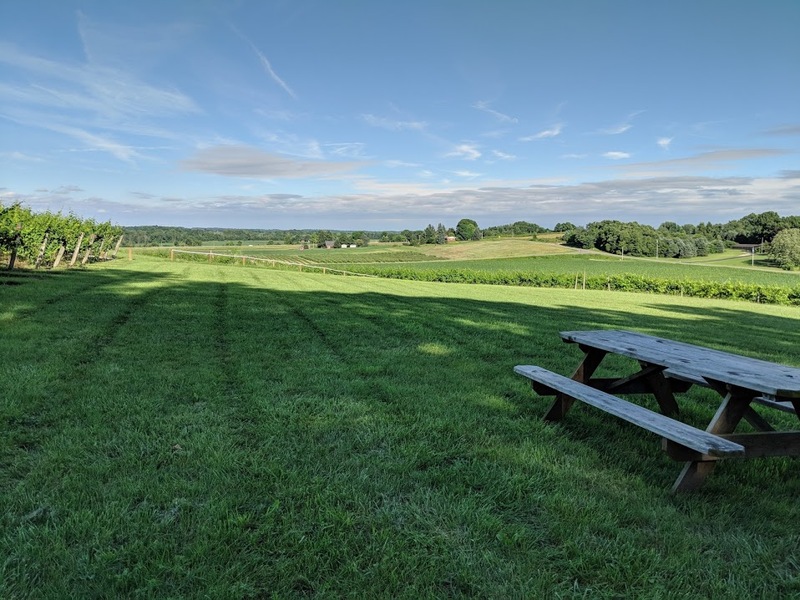 We feature locally produced cheeses from Reny Picot in Benton Harbor, Michigan as well as sausages from Zick's of Berrien Springs available for purchase to pair with our wines while you sit and enjoy the view of our terraced vineyard. If you like a good workout to pair with your wine, you're more than welcome to walk up the hill and lookout over the agriculturally diverse valley where we are located. Nine of our twelve wines are grown in our 3.5 acre vineyard.